Do you have Jane's All the World's Aircraft? - Ask Us! Q. Do you have Jane's All the World's Aircraft? We did not purchase this series every year. A few years ago the publisher broke the title into different annual volumes. Volumes available are located in the Reference area on the 1st floor. You can search the Library Catalog to find what we have. 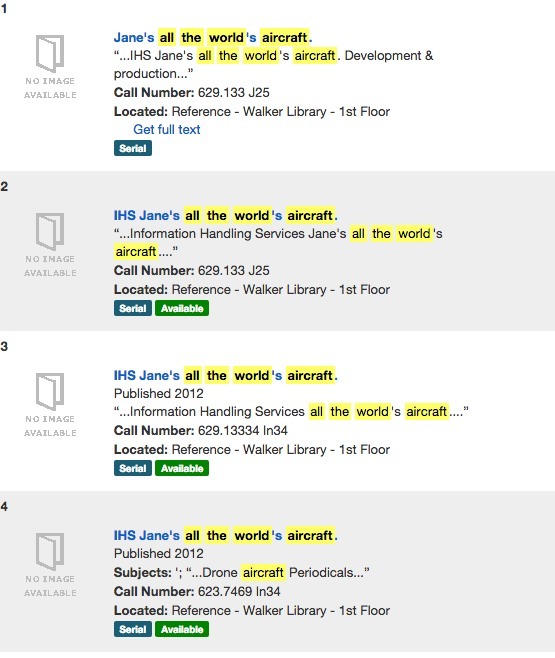 The search "janes aircraft" retrieves 8 entries.